Every year in November, tens of thousands of compact raptors fly from breeding grounds in Russia and Kazakhstan to small Karoo dorps. Why? A short dedication to one of Cradock’s most colourful residents, the late Piet ‘Prok’ Coetzee. 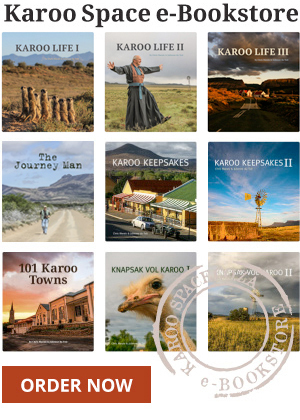 Shell’s quest to win over the hearts and minds of Karoo people foundered recently at a meeting that joined anti-fracking activists, farmers and South Africa’s First People. Karoo donkeys – the answer to economic Heartland travel?